Big Ideas was a week-long summer camp pilot program that ran in the summer of 2013. This program taught innovation and entrepreneurship for kids aged 10-13 at five different camps across Ontario. The curriculum for the camp was based on Business Design curriculum developed at the University of Toronto's Rotman School of Management. Big Ideas is a design-based approach to innovation. The curriculum for Big Ideas was developed to give young people an opportunity to be immersed in an innovation process that enables them to be entrepreneurs in the future. Campers learn that all meaningful innovations start with uncovering real human needs, which involves having empathy and really understanding the experiences and feelings of others. The next step is ideation and prototyping; the process of taking an idea that is in your head and turning it into something that exists in the real world. The final step is strategy; figuring out how to get your idea into the hands of the people who want it and how to create a successful business around it. The Big Ideas program is built on the foundation of more than a decade of research by Institute for Competitiveness and Prosperity (ICP), which demonstrates that we need more innovation across the business sector, from small start-ups to massive multinationals. The Big Ideas Camp is structured to introduce the campers to one crucial innovation tool (empathy and customer needs; ideation and prototyping; business strategy) on each of the first three days of the camp. On the final two days, campers are presented with a real-world innovation challenge on which to apply the tools and techniques they have learned. The foundational tenet of the this program is that innovation begins with customer needs. But how do we begin to understand those unmet needs when customers may not be able to articulate them yet? Through empathy – the ability to understand the world from another person’s perspective. Campers explore the science of empathy while honing their skills of observation, interpretationand imagination to identify needs. An example: Campers are asked to imagine ways to redesign the MRI experience for kids. Ideation and prototyping are toolsthat can help us create and build ideas. Campers learn techniques for ideation (emphasizing the value of quantity, building on the ideas of others, getting visual and clustering for themes), and build 2-D and 3-D prototypes to get feedback on their ideas. The goal is to help campers become comfortable with a learning mindset that can produce better ideas. 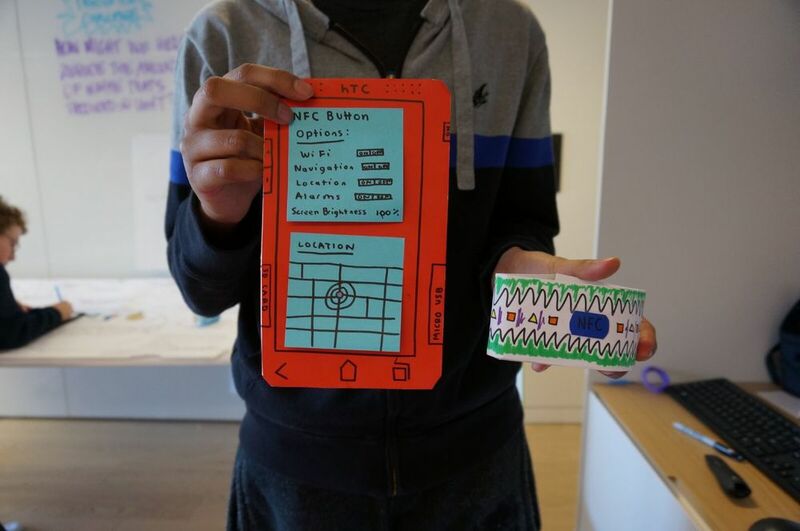 A key exercise here has campers creating prototypes of products for a sporting goods company that areaimed at high-performance athletes. Critical to becoming a great entrepreneur is the ability to take an idea and build a business ecosystem around it. At core, building a business is about making connected choicesto craft a winning strategy and create advantage. Using the real-life story of a 14-year old entrepreneur, the campers are asked to make connected, reinforcing choices to create a strategy. Then, to help campers further link the lessons of the camp to the real world, they visit a local company to see how innovation comes to life for them. 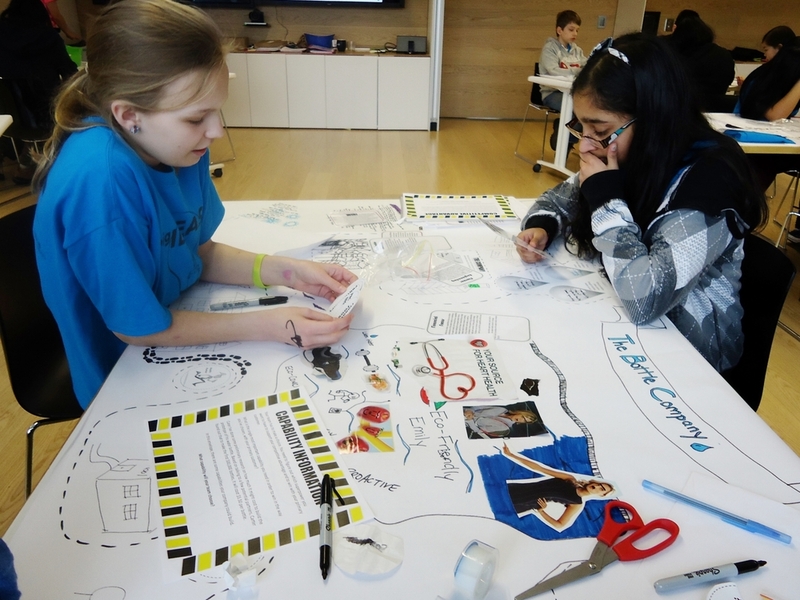 The final innovation challenge is a culminating activity that helps campers apply the tools and techniques they have learned to date on one cohesive project. Over two days, campers practice their need finding, ideation, prototyping and business strategy skills to create a business. Campers end the fun-filled week by learning how to share their ideas and stories , creating a pitch for their business just as an entrepreneur might. The Big Ideas Camp is the product of collaboration between the Institute for Competitiveness and Prosperity (ICP), the Rotman School of Management at the University of Toronto and Actua, Canada’s leading national science, engineering, technology and mathematics outreach organization for youth, to design and deliver this new program. The program is funded with support from the Federal Economic Development Agency for Southern of Ontario, through its Youth STEM initiative.